Penny Anderson (Sharon Millerchip) has just arrived in the country town of Appleton to become the new local doctor. Although she grew up there, she is still considered something of an outsider, like the other city slickers who have turned up in recent times and the refugees who now live there. What’s more, she’s a lesbian and a vegetarian. Things only get worse when Penny discovers that little has changed at the annual Potato Race. The event may be organised by women but the winner of the woman’s race only wins $200, while the prize for the men is $1000. Sure, the men carry more potatoes but even so… Setting out to try and raise enough so that the women take home equal prize money, Penny is surprised to find that the organisers are downright hostile to her idea. She presses on anyway with the help of Syrian refugee Rania Hamid (Sapidah Kian) only to find doors slammed in their face, while the trolling on social media is vicious. Even Penny’s cousin Nikki Armstrong (Amber McMahon), the local hairdresser and regular potato race champion, is against the idea; $200 is enough to treat herself to a musical like Muriel’s Wedding, she reasons; more would mean she would have to use it on serious things for her family. 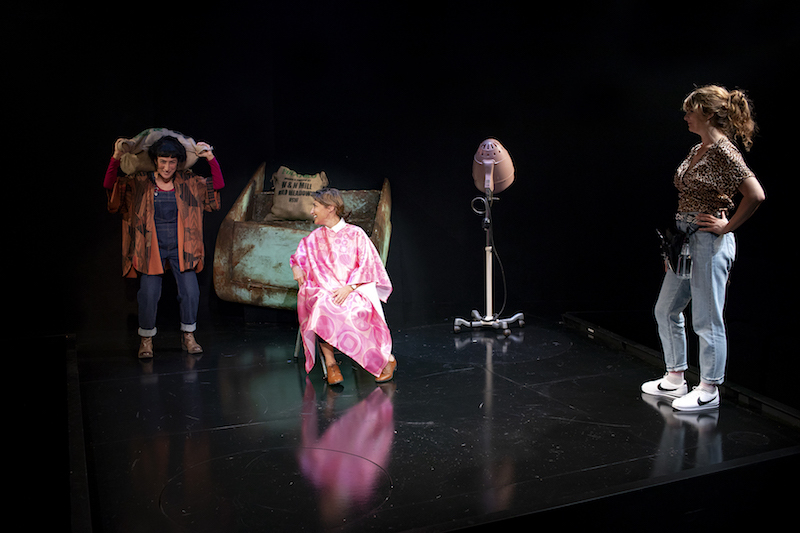 Melanie Tait, who wrote The Appleton Ladies’ Potato Race, which is currently being premiered by Sydney’s Ensemble Theatre, emphasises that the play is fictional. Nonetheless it’s fairly closely based on her own experience in her hometown of Robertson. Tait certainly knows the world of a country Australian town, and has written a delightful play that tackles issues of gender equality, feminism, diversity, social media and the struggle to bring change to small communities, but has done so in a light, generous and ultimately optimistic way. She has created very recognisable characters and her dialogue is lively, droll, potty-mouthed at times, and very funny. She is exceptionally well served by a first-rate, all-female cast led by director Priscilla Jackman with Sharon Millerchip as the calm but determined Penny, Amber McMahon as the vivacious, feisty Nikki, and Sapidah Kian as the level-headed Rania. Valerie Bader as the no-nonsense Bev Armstrong and Merridy Eastman as the kindly Barb Ling, who do most of the running of the Potato Race Committee together, make for a wonderful comic duo as they bounce off each other (and share a potato race secret). Michael Scott-Mitchell has designed a simple set featuring the back of a rusty ute, a few sacks of potatoes, and a Big Potato in the corner. There are also two tiny revolves, which Jackman uses, along with some lively choreography, for the scene changes. Aside from Scott-Mitchell and dialect coach Fayssal Bazzi, the rest of the creative team are all women with Jackman as director and co-dramaturg with Jane Fitzgerald, Genevieve Graham as costume designer, Karen Norris as lighting designer, and Tegan Nicholls as composer and sound designer. 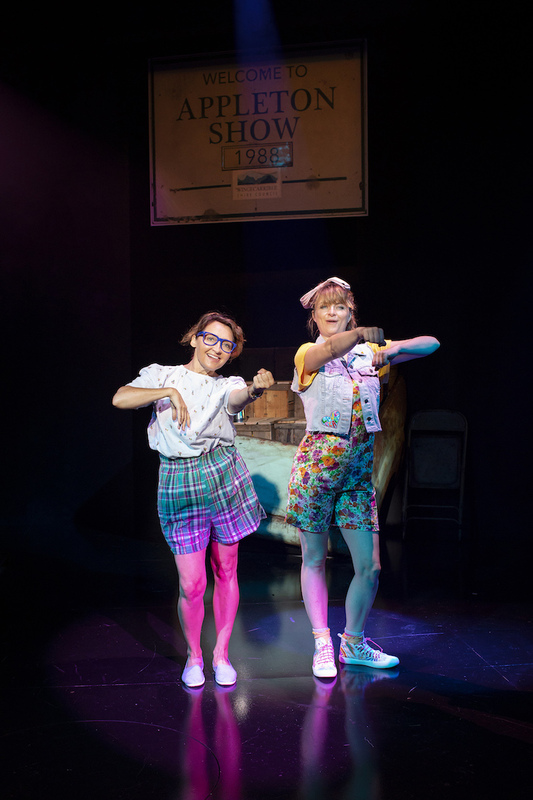 Running a tight 90 minutes without interval, The Appleton Ladies’ Potato Race is a very Australian, effervescently entertaining, laugh-out-loud funny new play with serious things to say and a gentle way of saying them. It really should tour widely; regional audiences would doubtless lap it up. Sharon Millerchip charms in Willy Russell's ever-popular, uplifting play. Heather Mitchell’s finely judged, compelling performance as Catherine McGregor is this new play’s drawcard. Lally Katz’s sprawling epic is a wild ride with plenty of heart. 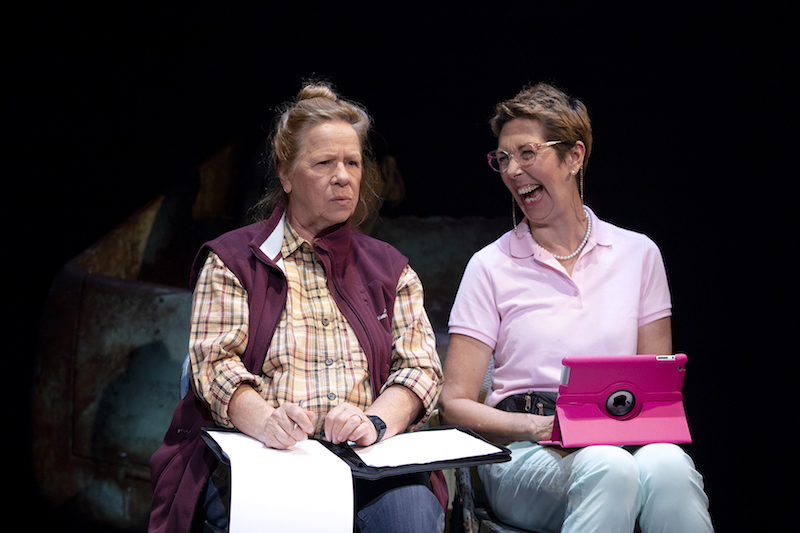 Jonathan Biggins' new play Talk canvasses a hot topic but the satire often fails to fire.